Visit this website for information about artists' and craftmakers' studios across Dumfries and Galloway and details of forthcoming events and exhibitions. Scotland's most Southerly Distillery, producers of Single Malt Scottish Whisky. 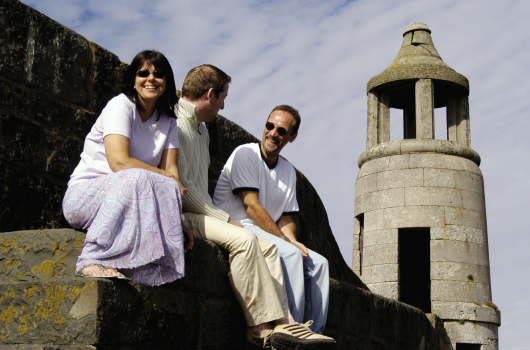 Situated on the banks of the River Bladnoch, take a Guided Tour or visit the wide range of Gift Shops. This traditional smokehouse produces the very finest smoked foods by smoking over oak chippings from whisky casks. Come and see the smoking process for yourself! This collection of unique and breathtaking creations from all over the world features fantastic displays of gems, crystals, minerals and fossils. This is an exciting new bird-watching opportunity to observe spectacular red kites among lovely scenery. This is where to come for fresh and smoked fish, game, poultry, dairy products and other local produce. Wild salmon are available and lobster and crab are boiled daily. Come and see the smokers in action! Logan Fish Pond is a fully restored Victorian fish larder uniquely located in a tidal pool created by a blow hole formed sometime during the last ice age. Local attractions in the care of the National Trust include Threave Gardens, Broughton House and Garden, Venniehill and Rockcliffe. Book lovers will enjoy exploring Wigtown's unique and elegant centre, with its numerous craft, gift and artist shops in addition to a fascinating range of book shops.